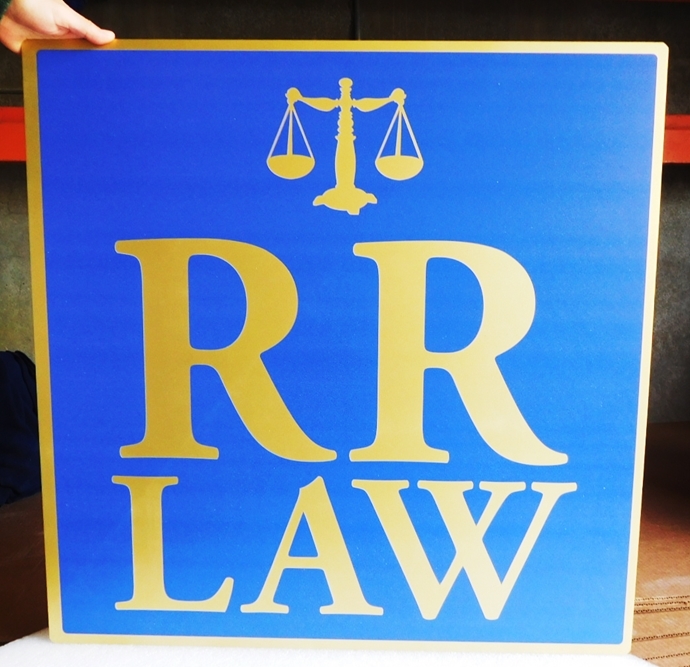 Above is a carved HDU sign for a law office. The sign features carved, gold painted, raised text and the Scale of Justice. The sign was painted with highest quality automotive grade Mathews paints, followed by a double application of highest quality Mathews clear coat for added durability and UV protection.